The transaxles fitted to modern Ferrari and Maserati have a number of special features and circumstances that make selecting an oil and maintenance routine particularly troublesome. This article will outline the main areas of interest in order for an informed choice to be made. The main scope of this article applies to modern tipos where the gearbox and differential are combined in one unit. There is also a small note on selecting oil for the ZF automatic transmissions fitted to modern Maserati. First of all one should consider the frequency that is suitable for changing the oil in such a gearbox. Ferrari specify that the oil should be changed at the mileage services (6,250, 18,750, etc) whereas Maserati specify every two years. There is no right or wrong answer however one should take the time to understand how the oil degrades with use. 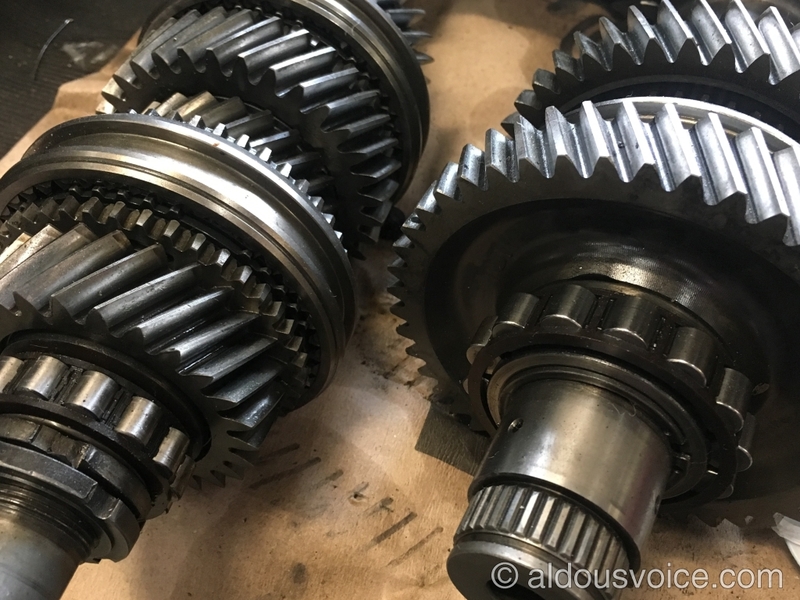 The inside of a gearbox is a very tough place for an oil as it is constantly being squeezed between the faces of the gears – it is this action that serves to reduce the effectiveness of the oil to provide correct lubrication. Furthermore the oil is pumped (as opposed to just sloshing around), the action of which further chops up the additives and reduces the effectiveness. In a mid engine Ferrari the gearbox is sandwiched between the catalytic converters, which means elevated operating temperatures and faster oil degradation. To mitigate this the oil temperature is often regulated by running it through a heat exchanger where heat energy is passed into the cooling system. Great until the heat exchanger fails and fills the gearbox with antifreeze (a common occurrence on a 360). In my opinion, the gearbox oil should be changed in a mid engine Ferrari annually in order to to allow inspection of the oil and to keep the lubricant fresh. If contamination with coolant is caught early enough then the gearbox can be saved. An annual oil change is cheap insurance against a costly rebuild. For Maserati, two years is about right unless annual mileage is high, in which case an annual change may be more appropriate. Now that the service interval has been determined, the type of oil can be considered. 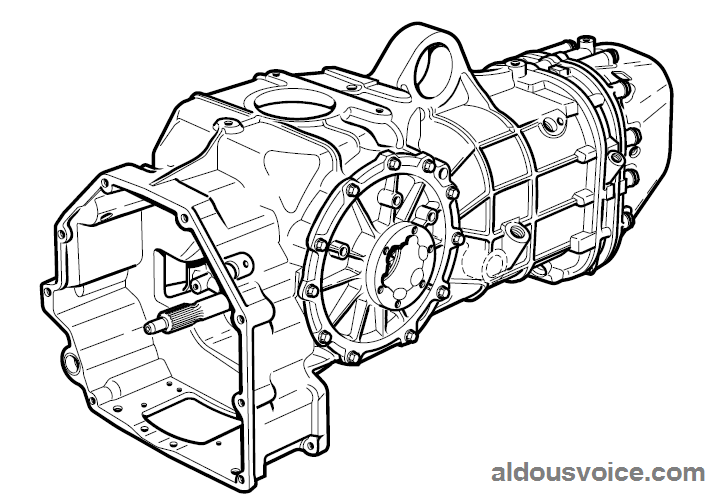 Ferrari specify Shell Transaxle 75W90. Maserati recommend Rotra LSX 75W90 for older cars and Shell Transaxle 75W90 for more modern applications. All of these oils meet GL5 specifications and one could be excused for thinking that any GL5 oil in the correct weight will do but this is not the case. One of the most important factors to consider here is that there are competing demands between the gearbox and differential, both of which are housed in the same case and share the same lubricating oil. Firstly, the oil should be designed for use in a transaxle. A straight gear oil or diff oil should be avoided. Next there are oils and additives available that allow the limited slip differential to operate optimally and can even cure a binding or chattering LSD. However this comes at a cost and too much friction modifier will inhibit the action of the syncros. I would recommend no friction modifier unless the differential needs it. However, the most important factor to consider is the type of additives that allow the oil to gain it’s GL5 rating. This rating refers to the ability of the oil to protect against wear of the gears under extreme pressure. The additives form a layer on the contact surfaces which is sacrificed during use. The problem is that some of these additives are damaging to soft yellow metals and guess what the syncros are made from – brass. The oil must be stated as safe for use with yellow metals. For the ZF 6HP automatic transmission fitted to the Maserati Granturismo and Quattroporte things are much simpler – Maserati specify Shell Dexron III. However this is no normal Dexron III fluid as found in the power steering system. The oil should meet the M1375.4 specification which in reality is ZF Lifeguard 6 fluid. Nothing else should be used in this gearbox otherwise there is a risk of a costly malfunction. Maserati do not specify a service interval for these gearboxes, which is inline with other manufacturers using the same unit. However, my opinion is that the fluid and filter should be changed every 50,000 miles. Fresh oil really does make a difference to the smoothness of the gearshifts and will prolong the life of the transmission. Changing the oil and filter is a straightforward, albeit messy, job however an SD3 is required to get the level correct.